Decorated U.S. Navy admiral who commanded cruiser and destroyer units in the Pacific theater of World War II. He graduated from the U.S. Naval Academy in 1910. 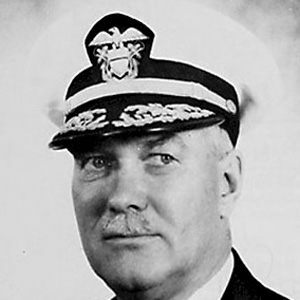 He took command of the Pacific Fleet destroyers during World War II and presided over a naval task force that developed effective strategies for avoiding torpedoes and bombarding enemy positions under the cover of darkness. He was born in Minneapolis, Minnesota. He served under the command of Douglas MacArthur, the admiral in charge of all U.S. operations in the Pacific during World War II.